When I ranked the Marvel Cinematic Universe movies I said “it was a difficult task because all the MCU movies tend to range from good to great, with a few truly excellent films.” Well, Captain America: The Winter Soldier is one of those truly excellent films and therefore I was really looking forward to rewatching it for the Road to Infinity War. Of course it does, honestly I think Captain America: The Winter Soldier gets better every time I watch it. It’s just that good, I remember when I first watched it in the cinema I thought it was great (original review here), but for whatever reason I wasn’t blown away. I’m not sure why, I appreciated how technically brilliant it was but maybe the reviews had over hyped it for me. 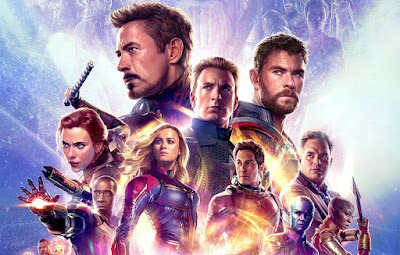 However with every subsequent viewing I’ve fallen a little more in love with it, it’s definitely one of the best movies Marvel Studios has brought to the big screen. It has a great mix of superhero / comicbook movie, mixed with a spy thriller / action movie, and to be honest they’re my favourite genres, so this is peak geekdom for me. The story fits perfectly for Captain America, and challenging him with what’s right and wrong in an age where rules of privacy and security are becoming ever more grey. All the cast and characters deliver great performance, and even having Robert Redford is a huge bonus. The action is spectacular, every punch, every gunshot, every kick feels like it leaves a huge impact, and it’s at a point of hyper reality not really matched by many other Marvel movies. Civil War is on the same level (but then you’d expect that being written and directed by the same directors), it’s the ferocity and speed of which it’s filmed. Just incredible. It’s actually extremely violent for a 12A, if there was any blood I’m sure it’d be rated 15 easily. The Winter Soldier is a great antagonist and relationship between Steve Rogers and Bucky Barnes really adds to the intensity of the action sequences. Especially in the later half. To be honest all the action sequences are incredible, the hijacked ship opening, Nick Fury’s attack / car chase, the SHEILD elevator fight with Cap, Winter Soldiers freeway attack and the final Heli-Carrier sequence. SO. SO. GOOD. As I’m finding with a lot of the MCU movies as I’m rewatching them; they all feel better now the MCU is fully established. 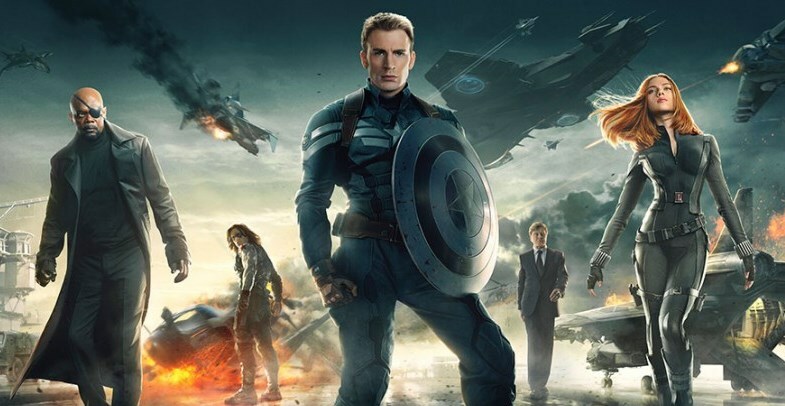 CA: The Winter Soldier is when the potential really began to fruition in a “solo” movie with multiple characters crossing over with Nick Fury, Black Widow, Winter Soldier and Falcon. Iron Man 2 technically had some of this, but it felt forced in and didn’t feel like an organic part of the plot. So for a movie that was already excellent to feel even better, is just great! 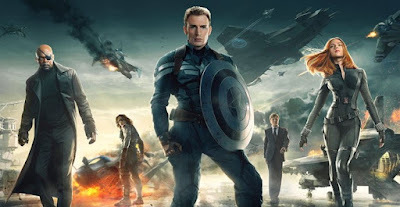 Captain America: The Winter Soldier continues to stand as one of the best movies in the Marvel Cinematic Universe.